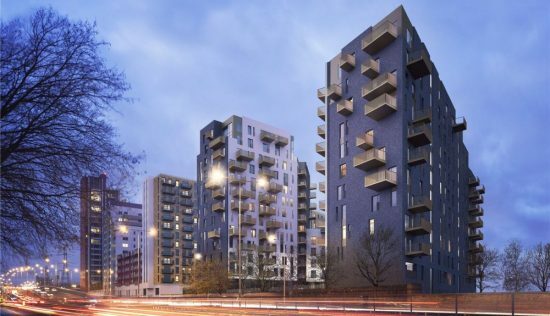 Bagging a prime position on the river and nestled right next to Royal Greenwich, The River Gardens is an extensive new development by Bellway and London & Regional Properties, designed by the award-winning Squire & Partners. This collection of one, two and three-bedroom apartments – including a handful of wheelchair accessible homes – will no doubt appeal to City and Canary Wharf workers, first-time buyers, and families looking to be a part of the picturesque community of Greenwich. 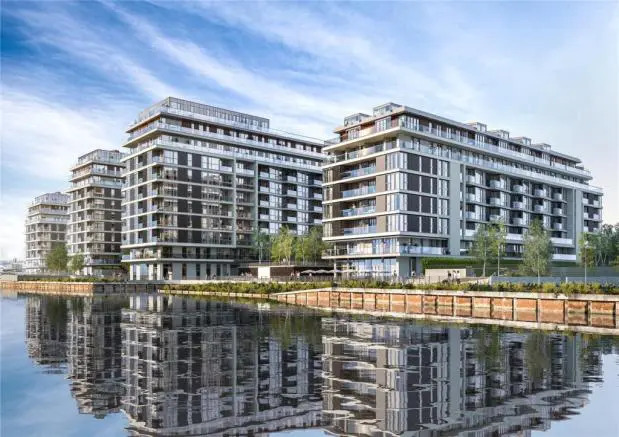 The development stretches for 300 metres along the Thames and covers a 12-acre site, set within pristine landscaped gardens, with views across the City of London and Canary Wharf. The four imposing wharves – Lovell’s, Granite, Badcock’s and Pipers – make up The River Gardens, sitting proudly in a row. 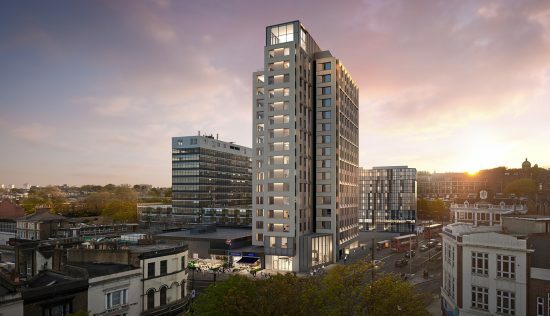 Buyers can expect to pay around £859 per square foot, which is over the average for SE10 of £589 – not a bad price considering its prime location and facilities on offer. The nearest stations to the development are Cutty Sark DLR, which is less than a 20-minute walk away, and commuters can expect journey times of 9 minutes to Canary Wharf, 19 minutes to Bank and 22 minutes to Stratford. Alternatively, the nearest mainline station, Maze Hill, is approximately 10 minutes’ walk away, with services running into London Bridge and Cannon Street (around 15 minutes). There’s also the option of jumping on the Thames Clipper riverboat service at Greenwich for a more scenic journey into the City and Central London, and a number of bus routes run nearby The River Gardens. Drivers will benefit from easy motorway links to the A13 and A2. Greenwich’s popularity has been earnt for a reason – it’s home to the 183-acre Greenwich Park, the National Maritime Museum and the preserved Cutty Sark, so it’s full of cultural pitstops over lazy weekends. Greenwich Market is also a hit with locals and tourists alike, with fresh produce, organic food stuffs, arts and crafts, and antiques and curiosities. And with a strong line-up of restaurants, bistros, bars and cafés, there’s always somewhere new to sample. Canary Wharf is a short DLR ride away, with its many malls full of high-end boutiques, high street names, independent eateries and chain restaurants. Plus, Westfield Stratford City and the O2 are also world-class offerings in terms of shopping and entertainment. Within the development itself, there are plenty of amenities for residents to take advantage of. 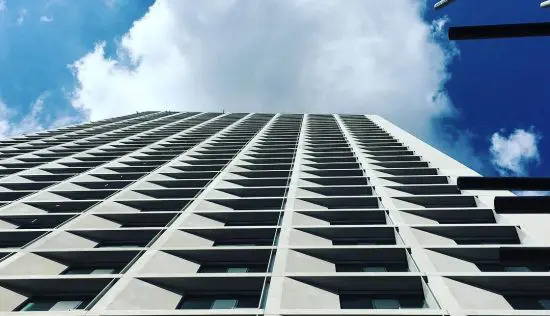 A concierge is available to help with any daily tasks like household maintenance and receiving packages, while car owners can keep their vehicles secure in an underground parking space available at £25,000, and there’s a bike storage room for cyclists. In terms of leisure facilities, there’s a private gym, swimming pool, tennis court, and a children’s creche and play area. The interiors of the apartments are light, bright and contemporary with a clean finish. In the kitchens you’ll find Italian custom-designed soft-close units with Silestone worktops and integrated AEG appliances including fridge freezer, dishwasher and oven. The bathrooms incorporate white Roca sanitaryware, Bristan chrome brassware, built-in vanity shelving and tiling on the walls and floors with underfloor heating. There’s laminate wood flooring throughout the living areas, fitted wardrobes in the bedrooms, and a balcony for private outdoor space. 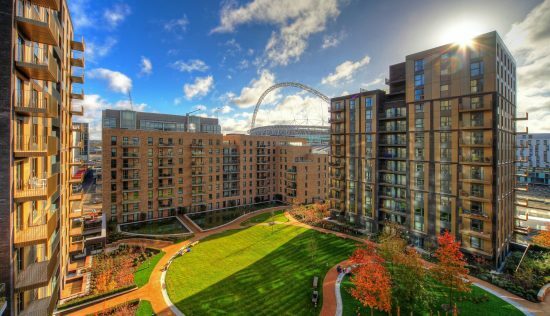 Buyers should also take a look at Greenwich Peninsula and Greenwich Millennium Village if there’s interested in The River Gardens. We are getting our parents to move in too! 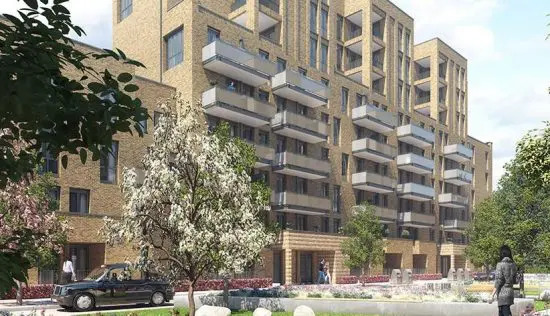 We love this development, we currently live in the Blackheath area but we want to stay close to friends and family and also take advantage of the developments happening in Greenwich for a longer term investment. Wewould like to buy and moved in with our daughter – we love the facilities here with pool/gym/tennis court/childrens area/parking it just makes life so easy. My parents are looking to downsize but didn’t want to move out of London so they are also considering buying! – it is great that they will be here and I can keep an eye on them but also all the facilities mean they stay active but I don’t have to worry about my dad stressing about the ongoing issues with our tired family home. This is a criticism of most new build developments but we have struggled to find somewhere that works for us and fitting some of our furniture and items that are important to us – it is like they expect people to move in without any history! or just to buy all new things! The living area is beautiful but with windows on two sides and the kitchen on another where do you put book shelves, chest of drawers, side units, wall mounted tv. In the second bedroom with it being 10 by 10 and windows on one side and fitted wardrobe it didnt leave much room for much else after the bed. We ended up putting some furniture in storage that we didn’t want to get rid of, the flat is beautiful but lends itself to uncluttered living as everything feels on display. The design here is so clever, the buildings almost look like a cruise liner as each flat has so much light and great balcony spaces to take advantage of stunning views of the river. There is a lot of building work happening in Greenwich but I do believe The River Gardens has some of the best views and that is partly due to the space and gardens they have allowed between each building.